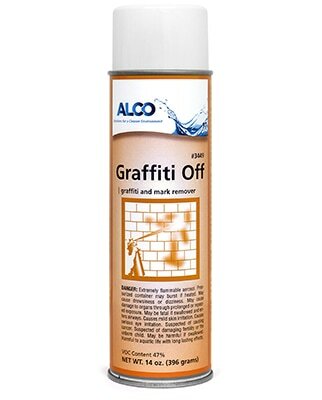 Alco Graffiti Off - Alco-Chem, Inc.
Non-chlorinated, heavy duty, thick clinging gel. Cuts through vandal marks without running or dripping. Can be used on porous or non-porous surfaces. Removes spray paint, ink, lipstick, tar, pen, markers and mores. Safe on brick, concrete, stone, tile, metal and most painted surfaces.